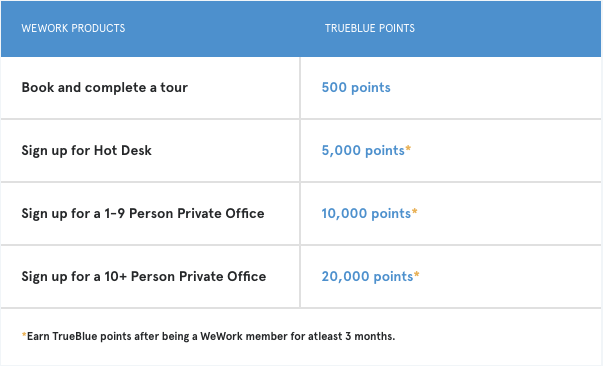 Right now WeWork has a promotion with JetBlue for a variety of levels of TruBlue points depending on how you participate. As you can see, the most lucrative bonus is of course for the most expensive item (that makes sense). Considering pricing depends on the location (Brooklyn Heights rates found here), that may or may not be worth your while. That being said, a tour is the one item that only requires time. Since I am on Spring Break this week, I decided to take a look! I was met by a lovely guide who took 20 minutes to show me around the (as-of-yet not complete) space in Brooklyn Heights. He walked me around the common shared space (which has free coffee, tea, fruit, and on-tap beer) as well as the key-card-required private space. They have a variety of office sizes from 1-person to what looked like 12-person offices. While the Brooklyn Heights location is new so has plenty of space (opened April 1st) their largest space in the US – NOMAD – is almost out of room! Suffice to say the benefits are pretty awesome and the prices seem workable for start-ups and small companies alike. There were even a few tutoring companies based there. In conclusion, I’d highly recommend taking the tour – even if only to earn 500 TruBlue points. After all, when JetBlue has deals, that can be worth 1/7 of a flight to Florida!